PRICE REDUCTION!! ENTERTAINING ALL OFFERS. 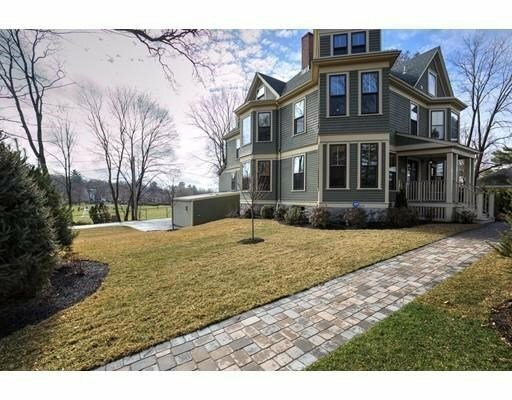 Welcome home to your tastefully restored and smartly upgraded elegant Victorian mansion in the heart of Newton Center! This spectacular home has high ceilings,claw foot tub,3 porches,stained glass,new storms, stunning woodwork, 4 fireplaces (gas&wood), intricate details abound! Great care was taken to retain historic character while updating w/ modern amenities. 2 new master suite options, 3rd bedroom with half bath, video security system. Brand new custom kitchen incorporating new butler's pantry into design flow. 1st floor full bath added! Carrier gas furnaces w/ forced hot air. Well insulated. Basement has 11' ceilings and walk out access. Keep as is, for storage/play space or get more return on investment by adding an accessory apartment. Home is located in a wonderful neighborhood community and is steps from Newton Center D-Line, shops & restaurants,as well as Crystal Lake (which can be viewed from home) and Weeks soccer field.